The Minister of State with responsibility for Islands will meet residents of the Aran Islands next week, to discuss the provision of air services to and from the mainland. Joe McHugh will meet locals amid fresh concerns about access to daily flights for those living on the islands. The meeting follows a decision by Aer Arann to terminate its contract with the Government to provide Public Service Obligation (PSO) flights later this year. The company has served six months notice of its intention to end services, in a dispute over the way in which the PSO contract is being interpreted. The existing agreement covers around 3,500 flights to and from the three Aran Islands each year. 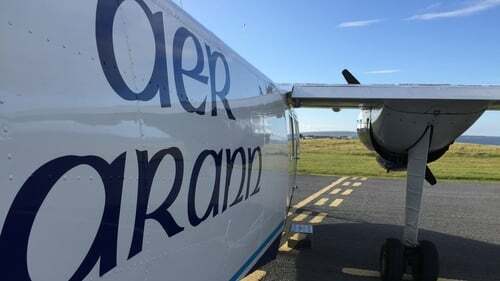 Under the terms of the four year contract, Aer Arann gets in the region of €1.85 million per annum to operate daily flights to Inis Mór, Inis Meain and Inis Oírr. The subsidy also covers the management of airstrips on the islands and the use of the Aer Árann owned airport at Na Mine in Connemara. The dispute centres on an "adjustment" to the PSO subsidy paid to Aer Arann when the company operates flights outside the terms of the contract. This results in a subsidy reduction of €483 per non-PSO or ad-hoc flight. The Department said this was clearly set out in the contract it entered into with Aer Arann in 2016. It said it has been in regular contact with the operator since the contract came into effect in January 2017 and has rejected suggestions that it blocked efforts at mediation to resolve the dispute. The Department is now preparing to put the service out to tender again, to ensure the continuation of flights to the islands when Aer Arann pulls out. It is understood residents had no advance warning of the announcement that the contract would be terminated. They have issued repeated calls to Governments over the years, to ensure their needs are adequately addressed. Island representatives are calling for a review of the tender and its implementation to ensure there's flexibility to allow the service provider to respond to their requirements. They say that at present, the PSO contract is not serving the needs of islanders due to the limited number of flights as a result of the ongoing dispute.